"There are no shortcuts in the quest for perfection"-These are the words of Ben Hogan, founder of Ben Hogan Company, one of the most legendary figures in the history of the game, and a man well known for his commitment to performance excellence. Mr. Hogan’s tour career was full of victories, with his first taking place at The Hershey Open, in 1938. The following year saw Mr. Hogan win an impressive 5 tournaments including a string of 4 in a row, for an entire decade Mr. Hogan rode a wave of victories that has forever secured his place in the halls of golf history. A true perfectionist, despite his numerous victories, Mr. Hogan became dissatisfied with the quality of the equipment available to golfers. He set out to design and manufacture the “best golf clubs in the world” with ”the most exacting tolerances modern machinery will allow”. Over the past 50 years, that guiding vision and commitment to quality has led countless amateurs and professional tour players to innumerable victories playing Ben Hogan clubs. The vision has become a reality. 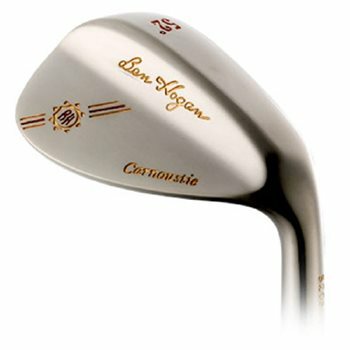 Ben Hogan Golf is part of the Top Flite Golf Company – a wholly owned subsidiary of Callaway Golf Company.